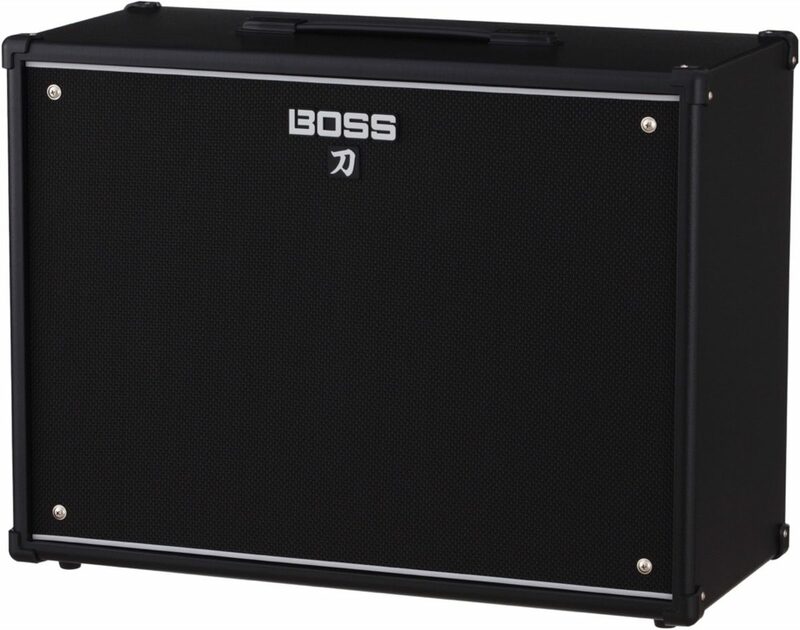 The Boss Katana Guitar Amplifier Half Stack is a powerful, lightweight and compact setup with the Katana 100 watt Head and Katana 2x12 cabinet. Compact and powerful, the 100-watt Katana Head delivers sharply defined rock tones with rich, commanding presence. 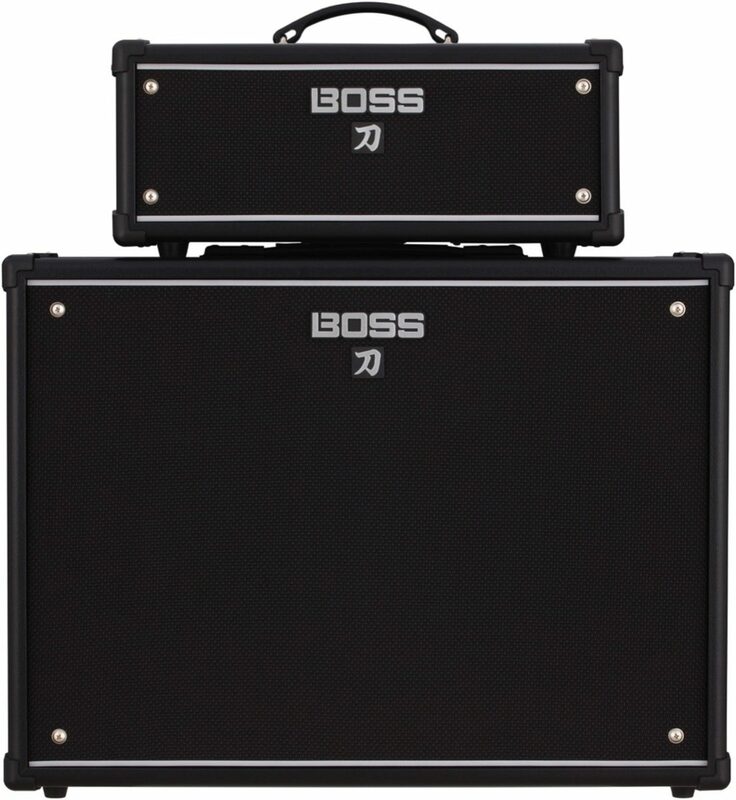 The amp also includes integrated access to a huge range of BOSS effects, which are customizable using the free BOSS Tone Studio editor software. And with the powerful on-board Tone Setting memories, you can store your favorite amp channel setups and effects combinations for instant recall. In addition, the versatile Katana-Head is equipped with an effects loop and MIDI for integration with advanced rigs, and features a convenient built-in monitor speaker for tone preview and practice without a cab. Designed for guitarists who are serious about their sound, the Katana-Head offers exceptional tone and touch response for stage playing, recording, and simply practicing at home. A standout characteristic of every Katana amp is the dynamic interaction between its output section and the speaker, which provides the ultra-responsive musical experience that players crave. The Version 2 update adds an expressive Cabinet Resonance function derived from the flagship Waza amps, which allows you to customize this interaction for your touch with three resonance types. Delivering class-defying power, authoritative punch, and cutting presence that stands shoulder-to-shoulder with high-end amp designs, the Katana-Head is ready to meet the needs of any playing situation. Sharpened to perfection by the BOSS engineering team, the Katana-Head's five amp characters offer everything from organic vintage tones to modern high-gain sounds. Clean is natural and transparent, while Crunch offers satisfying grit and response. Lead has a wide gain range to suit many styles, from fat, stinging blues solos to fluid legato shredding. With DNA inherited from the Waza amp, Brown delivers refined high-gain tone sought after by the world's greatest rock players. The Acoustic character further enhances the Katana's versatility, providing optimized tone that makes acoustic-electric guitars sound stunningly natural. 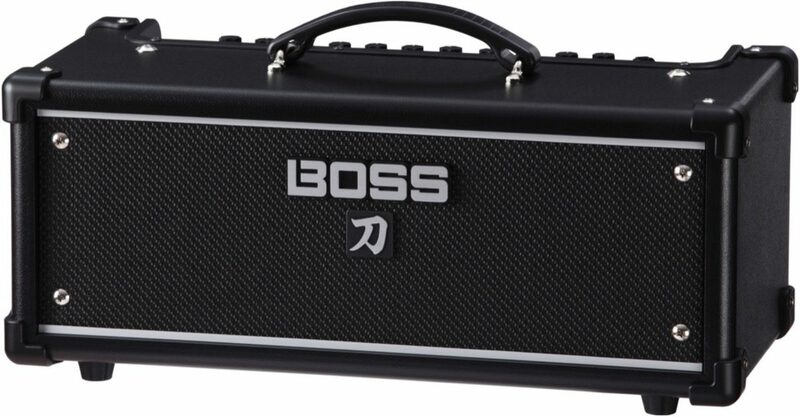 With its built-in BOSS effects, the Katana-Head lets you perform anywhere with just a guitar and amp. 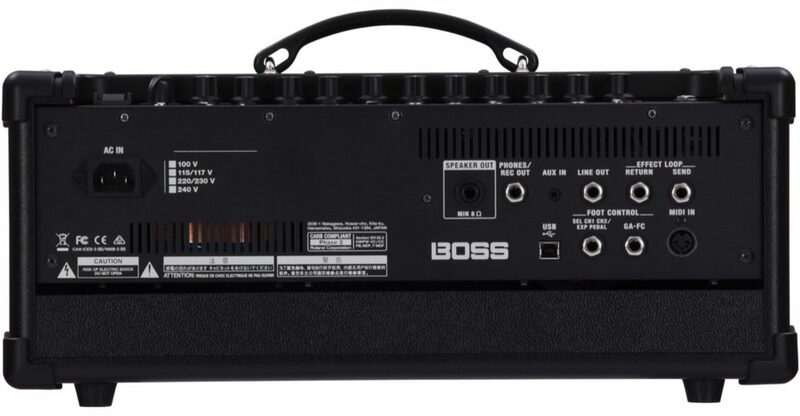 Connecting to BOSS Tone Studio via USB provides access to 58 fully-customizable effects, and you can load your favorites into the amp's various effects sections. Going beyond standard distortion, delay, and reverb, the selection includes powerful tone-shapers like pitch shifting, ring mod, slicer, and many more. Added in Version 2, the SDE-3000 delay, Phaser 90E, and Flanger 117E effects provide classic sounds that are a perfect match for the Katana's Brown channel tones. Additional updates include the ability to use delay and delay-plus-reverb in the Reverb section, plus enhanced send/return routing for using favorite pedals and other external processing in the amp's effects loop. One of the Katana-Head's most powerful features is the ability to store favorite amp channel and effects setups in Tone Setting memories for instant recall. The Version 2 update adds a second bank of Tone Settings, doubling the number of available memories from four to eight. Combined with the added channel and global parametric EQs (configurable in BOSS Tone Studio), this elevates the Katana Head's performance versatility to even higher levels. It's easy to select Tone Settings and switch between the two banks from a panel button, an optional external footswitch, or MIDI. While the Katana-Head includes many advanced features, it's amazingly simple to operate. Familiar knobs for gain, three-band EQ, and presence let you quickly dial in your tone, just as you would with any standard amp. Essential effects parameters are adjusted with a simple knob twist, and Tone Settings can be stored with a brief button hold. And with the convenient Power Control, you can roll back the volume for small stages and home playing while retaining the expressive tone and feel of a cranked-up amp. 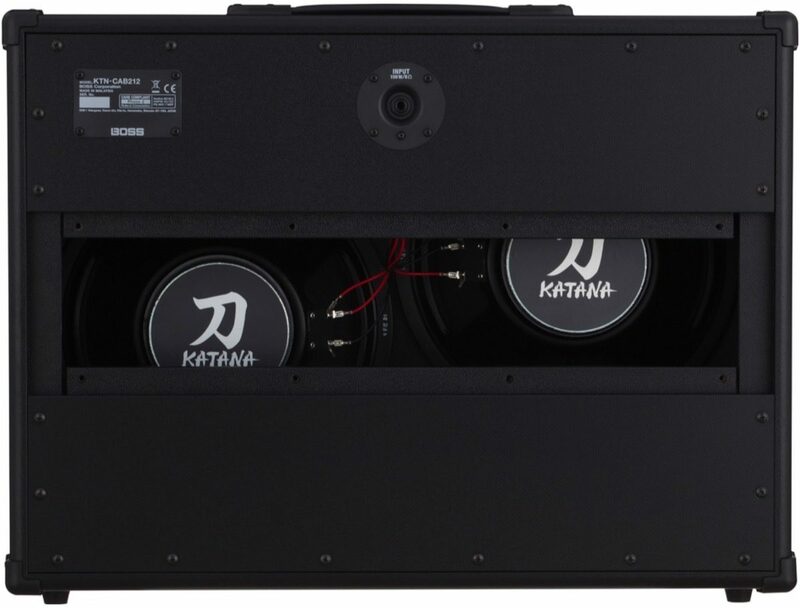 The Katana Head's speaker out supports connection to your favorite 8-ohm or 16-ohm cabinet. And with the handy built-in monitor speaker, you're able to check tones and practice anywhere without having to hook up a cab at all. The Katana Head also features line, USB, and phones/recording outputs with cabinet simulation, allowing you to send mic'd up amp tones to a PA system, computer DAW, or headphones for quiet practice. 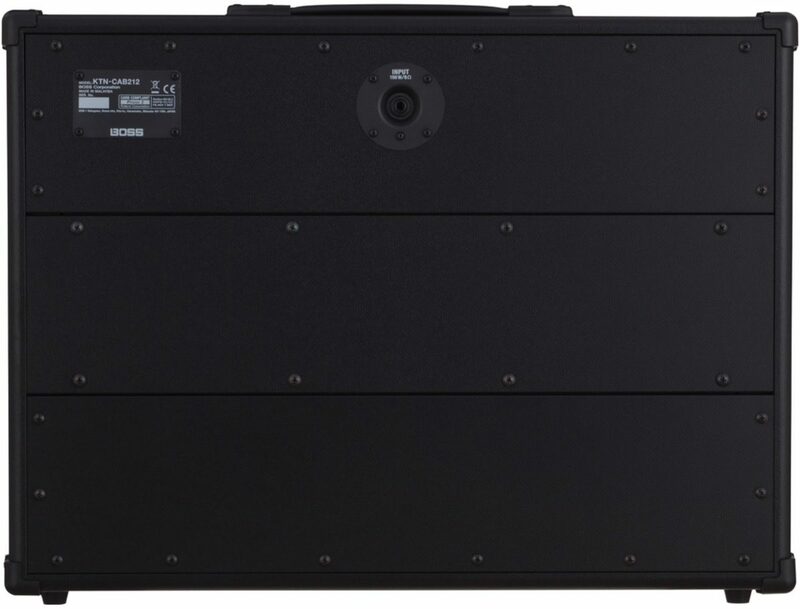 Version 2 further enhances this capability with three Air Feel settings derived from the flagship Waza amps. Advanced players will appreciate the MIDI input, which enables easy integration with MIDI controllers and switching devices. 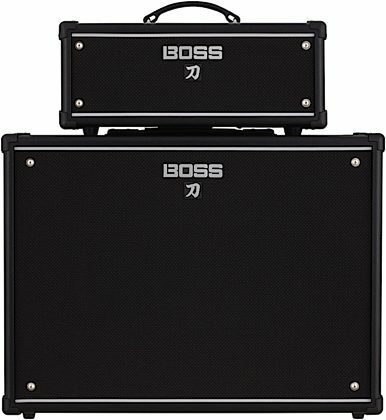 The versatile Boss Katana Cabinet 212 is a companion cabinet for the popular Katana-Head guitar amplifier. 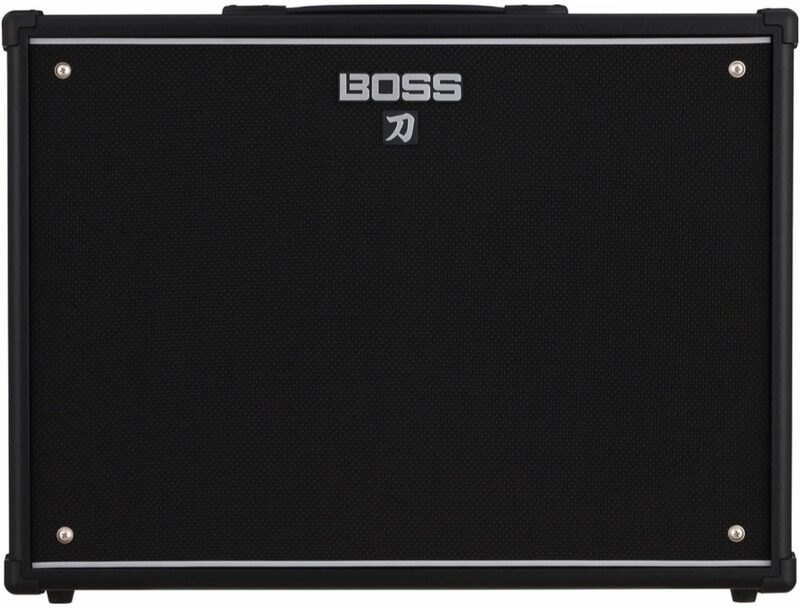 Boss's special design provides enhanced bass response and rugged durability while keeping the weight down for easy mobility. The cabinet comes loaded with two custom 12-inch speakers that deliver powerful, punchy sound with a rich full bottom end, offering exceptional performance for tones from super-clean to ultra-heavy. And with the detachable back panel section, you can easily go from a tight and focused closed-back stack tone to a spacious open-back sound of a classic combo. - (W x D x H): 26-7/16" x 11-13/16" x 19-15/16"